It has been rumored that impending free agent center DeMarcus Cousins will likely return to the New Orleans Pelicans. Cousins suffered a torn Achilles that ended his second season with the franchise. With NBA free agency tipping off in just under 24 hours, rumors and speculation have been swirling around some of the biggest names in the league. Rumors around impending free agent center DeMarcus Cousins are stating that the 27-year-old will "very likely" re-sign with the New Orleans Pelicans. In his second season in New Orleans, Cousins was having the best season of his career. In 48 games, Cousins was averaging 25.2 points, 12.9 rebounds, 5.4 assists and 1.6 blocks per game while shooting 75 percent from the free throw line. It was a torn Achilles that would end his season. ESPN NBA Insider Adrian Wojnarowski stated that Cousins "was on his way to a five-year, full-max contract, having the best season of his career, before the injury." He also noted that he expects Cousins to remain with the Pelicans on a two-year deal. His success alongside fellow Kentucky product and NBA superstar power forward Anthony Davis gives the Pelicans one of the league's best one-two punches. 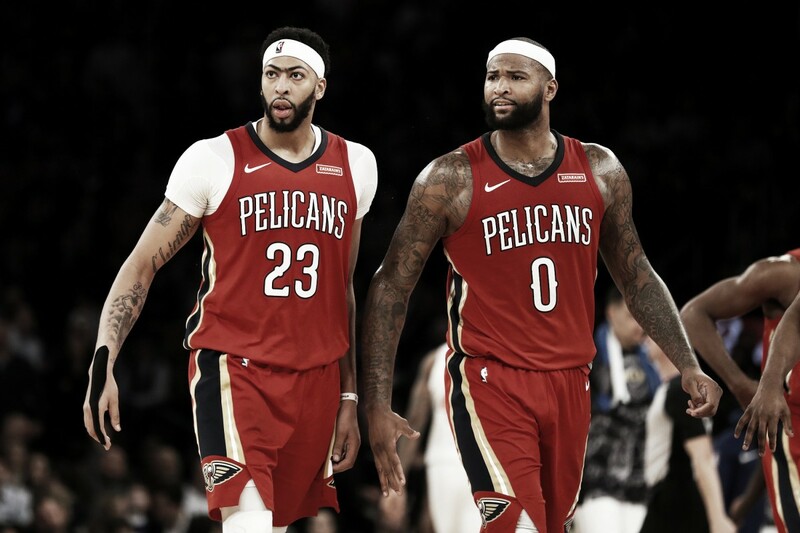 If Cousins does remain with the Pelicans, he'll reunite with Davis while the front office attempts to find some perimeter help for the terrific post duo. A short-term contract makes the most sense for both parties involved. New Orleans could avoid a major financial investment in a player coming off a serious injury and Cousins would get a chance to rebuild his value with a chance to hit the open market again in the coming years.